The intention is to stimulate imagination and discussion of what each contributor would specify for their personal economic estate on Mars, if they had unlimited funds and the ability to bypass regulations on Earth. An hacienda (UK: /ˌhæsiˈɛndə/ or US: /ˌhɑːsiˈɛndə/; Spanish: [aˈθjenda] or [aˈsjenda]), in the colonies of the Spanish Empire, is an estate (or finca), similar in form to a Roman villa. Some haciendas were plantations, mines or factories. Many haciendas combined these activities. The word is derived from the Spanish word "hacer" or "haciendo", which means: to make or be making, respectively; and were largely business enterprises consisting of various money making ventures including raising farm animals and maintaining orchards. This means that under international law, Mars is international waters. So no country owns any part of Mars, or has any say over what happens there. If someone builds anything on Mars, if they claim to be part of a country (like registration of a ship) then laws of that country hold over that one facility. But step one inch beyond the airlock door, and you're in international waters again. If you don't claim registry of any country, then your facility will not be held accountable to any country or any nation's laws. That means the owner is literally king. Of course that also means if you get in trouble, no country will come to your defence. And again, one inch outside your airlock door, or one millimetre outside your facility walls, it's international waters again. I have had fantasies about this. What if I could build some of my inventions, build a company to sell them and earn billions. Like Elon Musk. Then build a villa on Mars. Start with a small reusable spacecraft, with a lifting body like DreamChaser, sized for 4 astronauts including pilot, and no cargo hold at all. Give it an NDS hatch (NASA Docking System), the new hatch used by Orion, Starliner, or crew Dragon. Propulsion would start with a jet engine using Jet A-1 fuel (common jet fuel outside USA, Russia, or CIS states), built similar to the J-58 engine used by SR-71 blackbird but with full bypass so it could operate as a pure RAM jet. That should allow take-off and landing under jet power, and flight at high altitude up to mach 6. Heat shield with black tiles on the belly, reinforced carbon-carbon nose cap, but the white areas on the back would be covered in DurAFRSI, the new thermal blanket developed by NASA Ames but developed too late to be installed on Shuttle. Windshield made of ALON (alumino-oxynitride), which can handle higher temperatures than the windshield of Shuttle, and will not experience pitting from micrometeoroids. Landing gear made of aircraft grade titanium alloy, but with fibre reinforcement embedded within the alloy. Fibres would be placed in the mould first, then molten metal poured over them. After ensuring all bubbles are gone, chill the mould with water to harden. If fibres are graphite fibre then this moulding process has to be done without oxygen, because the heat of molten titanium alloy would ignite carbon. Or it could be done with Nextel fibres, which are synthetic ceramic fibres. Nextel 440 is used in DurAFRSI thermal blankets. Nextel isn't as strong as graphite fibre, but it isn't flammable so moulding could be done in normal air. This would be a composite material, but instead of epoxy as the matrix to hold fibres, use titanium alloy. This should allow the pipe of landing gear to be thinner; it wouldn't balloon out on axial impact compression when the wheels hit pavement. And longitudinal fibres would make the pipe stiffer, preventing bending. Again the idea is to make the metal thinner and hence lighter. I call this material "tritanium", inspired by Star Trek. Second engine would be a nuclear SCRAM jet, which requires minimum mach 5 to start the engine. Nuclear jet engine would use minimum critical mass of Americium-242m which is an isotope with the smallest critical mass. So the jet engine reactor core would be the size of a navel orange. Use heat sink fins coated with the same glaze as black tiles on Shuttle, designed to reject heat in a high speed, high altitude air stream. Those fins would be inside the SCRAM jet engine. Third engine would be NTR (Nuclear Thermal Rocket) for the final push to orbit. Propellant would be steam distilled water. RCS thrusters would use liquid methane and liquid oxygen. Life support using compressed gas oxygen, and lithium hydroxide; the same life support as Mercury/Gemini/Apollo/Skylab/Shuttle. You don't need long-term life support for a shuttle craft. This small shuttle craft would be designed to take-off/land from an airport that normally services small private aircraft like Cessna or Piper Cub. On landing, would that require a parachute to stop before the end of the runway? Next vehicle would be a "warp ring". Alcubierre/White drive, with a nuclear fusion reactor using deuterium fuel. The reactor would require a small amount of tritium to start, which is a waste product from heavy water reactors on Earth. Once the fusion reactor starts, it produces tritium and helium-3 as byproducts of the deuterium-deuterium fusion reaction. Most energy comes from deuterium-tritium and deuterium-helium3 reactions, so secondary reactions are the primary energy source. When the reactor shuts-down, some tritium would be preserved to restart later. So the reactor would use pure deuterium as fuel, it would only need tritium to "prime" the first start-up. Alcubierre drive (energy optimized by Dr Sonny White) would propel the shuttle craft from Earth orbit to Mars orbit at the speed of light: 4 to 20 minutes. Then the shuttle craft would have special features to enter Mars atmosphere and land. I'm thinking of a magnetic parachute to slow sufficiently in Mars thin atmosphere, then a parafoil to glide to a runway, then vertical landing rockets for the final touch-down. The parafoil would give it forward momentum, so it would land on a runway like an aircraft. Touch-down rockets would also use liquid methane / LOX. On the shores of the frozen pack ice, in Cerberus Fossae, an area of Elysium Planitia. 5° north of the equator. Frozen ice that the European Space Agency estimates has about as much frozen water as all the Great Lakes combined, or the entire North Sea. I would build the facility into the side of a hill. Construct using cut-and-cover. That is dig out the side of a hill, construct the building, then drive a mini-track loader with dozer blade up the hill to push Mars dirt down onto the roof. Mini-track loader: can you say "Bobcat"? Electric with lithium-ion batteries. Rooms would have windows looking out onto the surface of Mars, with a horizontal reinforced concrete overhang cantilevered above each window, and "lip" at the end of each overhang. Each overhang would have more Mars dirt piled on top as radiation shielding. Windows made of 2 panes of thick ALON, with the gap filled with mineral oil as clear as water. Windows for radiation "hot cells" were built that way in the 1950s, but with strong glass. The facility would have a large dining room, large kitchen, and several bedrooms. Each bedroom would have its own ensuite bathroom. One large bedroom would be reserved as mine, the master bedroom. The facility could be rented to scientists (eg NASA scientists) for a rather large fee, including transport to/from the Red Planet. It would have multiple life support systems, with mix-and-match components. Water electrolysis, regenerable CO2 sorbent, urine processing assembly, water processing assembly, Sabatier reactor; all like ISS. It would also have direct CO2 electrolysis, which could augment the first system to improve recycling efficiency. Plus water harvesting from the frozen lake. Plus CO2 harvesting from Mars atmosphere. Plus stored O2. Plus stored whole air. Plus greenhouses. Plus emergency oxygen candles. Greenhouses would have roof and windows made of tempered glass, not ALON. Because ALON is so difficult to make, and greenhouses would require so much. Greenhouses would grow food to sustain a full complement indefinitely. The greenhouse would also be primary oxygen and water recycling. Using ambient light, so it wouldn't use any power for artificial light. It would have LED lights as emergency backup during a dust storm. However, power to do that means all industrial activities would have to be shut down. Greenhouses for my villa would grow 100% vegan food. Livestock require too much fodder, and a hard-wall barn with more oxygen and sewage recycling. It's just not practical to raise livestock on Mars until the economy becomes very rich. It would also harvest resources. Mine hematite concretions for iron ore, smelt steel. Harvest anorthite and/or bytownite from regolith, smelt for aluminum. Harvest white sand, melt for glass. Find a deposit of potash under the dried-up ocean basin, harvest for potassium fertilizer for the greenhouses. Thorium is not expected in a low-lying area such as that. It has been mapped by MGS, it's only in dry hills. A remote mine using autonomous rovers would mine thorium ore, do initial ore processing on-site, then transport back to the villa. The villa would refine thorium to make reactor fuel rods to fuel reactors that run the facility. My villa would also have a pressurized hanger capable of holding the spacecraft, so it could be maintained/repaired. And a garage for Mars rovers. It would have labs for visiting scientists. And communication with Earth using quantum entanglement. That means instantaneous communication, not limited to the speed of light. Wifi/LTE repeaters throughout the villa would service laptops and smartphones. My villa would build a warehouse and storage tanks. The warehouse would be filled with enough equipment to build life support sufficient for 100 settlers, as well as habitats for them all. It would also be filled with enough food to feed 100 settlers for at least 26 months, the time requires for a supply ship from Earth. So I would be the Lowes/Home Depot of Mars, as well as the grocery store. One special exclusive feature would be another bedroom. Build high on a hill overlooking the landscape. With a dome made of a single cast of ALON, and a second dome over that also made of ALON. The two domes would appear as one, with the gap filled with mineral oil. The floor would be the natural bedrock of the hilltop. A stairway from the rest of the villa would be built as a pressure tunnel, with a pressure-tight door to the villa, and a pressure-tight trap door into the floor of the dome. The stairway could act as an airlock. The dome bedroom would have a big round bed in the centre, giving the bed 360° view of the surrounding landscape for kilometres in every direction. Some place I could take a beautiful sweet young honey for an exclusive get-away. She would be the only woman on the planet, I the only man. Literally. For that one weekend. We could watch a baby blue sunset in a salmon pink sky. While lying naked in each other's arms. Would you be willing to open a new topic with the (suggested) name of MyHaciendaOnMars? The word Hacienda did not show up when I ran a search of the Forum. I recognize that the word has significant negative connotation on Earth, due to the way Europeans behaved in times past, but the original meaning (as reported by Wikipedia) seems innocent enough. Thanks RobertDyck for fore filling the request. Mars will not have that problem but will need to operate like the first post from RobertDyck has indicated. I will post up the outer space topics which covers much of the previous ideas on what can or can not be done on any heavenly body. Nations or World Government on Mars - Nations or World Government? Thanks to RobertDyck for creating this topic. I hope it lives up to the example you have provided. SpaceNut, thanks for your endorsement and for the links to previous discussions that relate to this topic. I was curious about the religion thread in 2004, and note that it seemed to maintain a civil style until it swung over to (jumped over to) politics. I too am of the view that a steady supply of power must be at the heart of a Hacienda, and I would be favorably inclined to build and maintain at least one fission device even if fusion becomes practical on a small scale in future. Solar power has been discussed at great length here in the forum, and I agree that it is likely to be a significant provider of power on Mars, for single households and for large communities, but the current blast of cold air in the US reminded me forcibly of the relentless cold that will permeate life on Mars. Relying only on solar power (anywhere let alone Mars) seems to me unduly risky. I am hoping my acquaintance who served a year in Antarctica will provide links to others who have served there, because (it seems likely) their collective experience should prove useful for planning successful communities on Mars. In the mean time, if anyone who reads this topic knows people who have served in Antarctica, or any of the other remote locations where governments or corporations maintain work forces, please consider inviting them to comment upon the Mars environment from their perspective. I don't think your reading of the OST is correct. (a) The Treaty signatories are laying claim to the whole of Mars (in the same way that that the signatories to the Antarctic Treaty laid claim to the whole of Antartica). 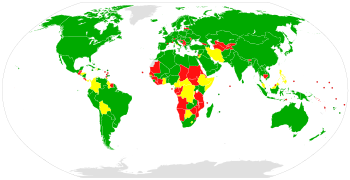 (b) The Treaty requires the signatories to ensure that they or anyone coming under their jurisdiction obeys the terms of the treaty. (c) Anyone who isn't a signatory of the Treaty has no rights under the treaty ie no rights to Mars. The idea that the OST signatories are going to give a free pass to anyone not covered by the Treaty to occupy Mars seems to me naive. That makes "international law" apply. It's effectively international waters. That means no weapons of mass destruction. Doesn't say anything about conventional weapons. That means if you're from the United States, it doesn't matter that your activities and your facility are entirely private property; the United States would still hold authority over your hacienda. If you're from Mexico, then Mexico would hold authority. If you're from Spain, then Spain would hold authority. By choice of the word "Hacienda" I assume tahanson43206 is from a Spanish speaking country. However, notice the loop-hole. If your activities are entirely from a country that is a non-Party to the treaty, then no nation has "responsibility". Your organization would still be held responsible, but what does that mean? You can't possess nuclear weapons or other weapons of mass destruction. Do you really want that anyway? Any country can send government inspectors to traipse through your hacienda. 5. States bear international responsibility for national activities in outer space, whether carried on by governmental agencies or by non-governmental entities, and for assuring that national activities are carried on in conformity with the principles set forth in the present Declaration. The activities of non-governmental entities in outer space shall require authorization and continuing supervision by the State concerned. When activities are carried on in outer space by an international organization, responsibility for compliance with the principles set forth in this Declaration shall be borne by the international organization and by the States participating in it. So require authorization from whatever country you're registered with. And that country will supervise you. Do you want me to post about a hypothetical estate on Mars, or about the estate I really want... on Ceres? My Cererean estate would begin with a space elevator. It would be equatorial of course, both for the elevator and the access to sunlight. Its primary economic purpose would be volatiles mining; Ceres has lots of water, as well as abundant carbon and nitrogen, and it should be able to export it very cheaply to the inner solar system using tethers and solar electric propulsion. If we can get a tonne of water for every square metre mined, and mined a square kilometre every year, that would provide a million tonnes of water, the majority of which would reach the depots at EML1. How much would a million tonnes of water be worth in the mid-future? Right now a tonne of water in space would cost perhaps $2 million to launch. If it sells for $1000/tonne, Ceres can make a billion dollars a year from just water. Around the space elevator, using the ground that's been mined and flattened, I would have minimal paraterraforming. 25-50mb atmosphere, with a genetically engineered forest inside. Possibly there'd be a coil wrapped around the equator (only 3000km long!) to give Ceres a decent magnetic field for radiation protection. The paraterraformed area would provide sunlight based life support, including food and other organic feedstocks. Over time, I would hope to extend this around the entire equator, and then expand towards the poles until the entire planet is covered. Hopefully there'd be some ponds supporting aquatic life, though I don't know how water would behave in such a low gravity environment. I do like fish, though. Within this zone, close to the elevator, I would have a buried centrifuge that would go almost vertically downward, sloped to ensure that the net acceleration is perpendicular to the floor. Living in the low gravity is for weekend retreats (I'd include cabins), not everyday life. Inside my house in the centrifuge I'd have, in addition to the usual suite of en-suite bedrooms and kitchens, a library, a chapel, and a great hall. The workshop would be kept on the surface. In my garage on the surface, I think I'd include a shuttle - normal transport would be via elevator, but sometimes you need to get up there quickly. The low gravity and escape velocity makes building a reusable shuttle trivial, but I'd want it to be capable of landing on at least Luna as well. Up above, docked to the other end of the tether, would be my ship the Dragonfyre, with a hangar big enough to fit a few shuttles and utility vehicles. Over time, as my reach extended over the planet, I would install a railway running around the equator, and later to the poles. It should be capable of going around the world in one (27hr) Cererean 'day' (3 rotations/day). Thanks for the details of the Outer Space Treaty ... My take-away is that the bureaucracy on Earth is going to swell as humans expand into space! My ancestors came from Europe but not Spain. I've been following the Magellan expedition for the past two years, and the word came to mind. For me, it connotes extravagant wealth (as it is used today in Real Estate), and the concept of personal ownership of land, and economic activity. Adapting this thread to Ceres is consistent with your long term interests in this Forum, and it is also (potentially) useful for those who might imagine control and development of other Solar System objects. The conditions you will face (and hopefully solve) will be similar (if not identical) to those to be faced on the Moon of Earth, and the moons of other planets. What I'm hoping this topic delivers is in-depth, thoughtful anticipation of market needs which forward looking entrepreneurs can undertake to supply. Rather than inventing what you need yourself, I am hoping you will imagine what it is, and let the market come up with solutions. Finally, to all who will participate in this topic ... please concentrate on your own vision and do not expend energy criticizing what others have imagined, or described. This forum includes members with credentials to certify that concepts are possible, or that laws of physics rule in ways that shape what can be done in the real universe, so you have those resources to help if you want feedback. Otherwise, as RobertDyck has shown, your imagination is your only limit. Well, I would stick with something similar on Mars, minus the centrifuge and space elevator. A minimally paraterraformed forest area, containing a compound - pressurised gardens (I forgot to add that bit! ); a big house with a library, chapel, and great hall; a hangar for my shuttle; a railway around the estate... of course on Mars flying will be a lot harder than on Ceres. Adding to my above post, I would include some areas within the wider paraterraformed envelope that would be shirtsleeve environments where land (and sky) animals can thrive. Which may contain cabins for weekend retreats. The habitable volume is circular in shape, and covered in a clear dome. The circle is 2 km across and the surface is mostly freshwater, but shallow, perhaps 10-30 m thick on average. Perhaps 20% of the area is composed of islands, which are rocky and very steep (taller than they are wide). People live in cottages made from rock and brick and canvas perched upon outcroppings of rock, as well as smaller boats which moor to the islands or travel around from one to another, or float on the water. People can travel up and down the islands either by hiking/climbing or by taking little gondola trams. To get between islands you can either take a boat or a zipline, or swim I suppose. The climate is mild, averaging 20 C, with low wind. Mirrors reflect sunlight into the habitation, with a lengthy sunset and a 30 hour day/night cycle. Access to the vacuum outside is via ports which stick up like little islands from the water. Much of what people eat is fish coming from the water. There's also some farm-barges where food is grown, which typically dock around the edge of the habitable volume. I think on Mars I would stick to a similar template, with the habitation built into a smallish crater, ideally one near the equator with a good view. As far as economic activities go, Mars has no native populations to enslave and oppress, so economic activities have to be done more virtuously than the Spanish did them. On Mars, this means a lot of mining and manufacturing, most done by robots. Included in manufacturing is agrifacturing (agriculture + manufacturing, ie mechanized agriculture, a term that I think ought to be used instead of "factory farming"). I think ideally my settlement would be in the spacelaunch/rocketbuilding business (Rocketeering seems like a cool name), even though probably on Mars spacelaunch will mostly be done via space elevator. Me I would settle for a One way ticket for one where the landing site has been preloaded with what I would need to dig in like a Tick....No ship left in orbit, not mav for a return if need be cobble one from the lander remains if I must return. Other wise recycle everything digging into the ground to start a safe haven when needed. Reuse the landers batteries with freshly installed fan solar panels from ATK..Send plenty of seeds, water and leave the exploring for later as you get sufficient to sustain your life. Connect all landers and tunnels and anything else used for the garden and lifes living spaces to limit using up precious air on excursions not needed until you have a surplus to make use of. Which brings me to the $64,000 dollar question.... Robert Zubrin started the Mars Society nearly two decades ago with the dream of creating a human settlement on the Red Planet. What is Zubrin's dream for Mars? Are we helping to make that dream possible? We are talking about "The Case for Mars". This dream has bitten a few but to this day we are still earth bound...with many plans with what was available at the time used to make it come true or at least make it look that way and even with future parts not yet made we still dream of humans on mars one day. So do we go much like the ancestors did to spread out across the west, while others want to setup hotel Sagan with all the furnishings. I am sure the first visits will be more like the first but in time we will have gotten to the later when cash flows hot and in bundles so large that they look like sky scapers when piled up. The Hacienda Topic created by RobertDyck has potential for growth. Meanwhile, an (to me) amazing number of folks have registered as members of the NewMars forum, but chosen not to post a message. For example, 23 people are registered in this month alone, but only RayRobertson has posted a message. My guess is that the pool of regular posters is intimidating to new members. That's just a guess, but it is certainly what I experienced. The Hacienda topic created by RobertDyck offers a venue for (just about) everyone to take part on development of a virtual community with a focus on Mars. What I am proposing is that new members create a post in the topic My Hacienda On Mars. That post would then become a fixed element in the database maintained by the NewMars forum. According to the rules of the forum, that post is OWNED by the creator. It can only be deleted by one of the Administrators, and that only occurs when unacceptable behavior occurs. Since (I am guessing again) everyone who signed up for the forum and is not already banned is likely to want to be a good citizen in this new environment, it seems unlikely the Administrators will find it necessary to disturb posts. Each post can be easily located by the creator, using search strings unique to the creator. An example of how this works is the fixed post I've been updating as I follow Mars around the Sun. You will be able to see the updated status of the calendar proposed for business application on Mars, supported by the French web site shown in the post. For the Hacienda fixed post, each creator can choose a combination of search arguments that the Forum Search software will find uniquely. The goal here would be for each participant to define the elements of a home/business on Mars. Going forward, a great variety of economic and cultural needs of a new society on Mars would be identified. For example, an entire Hacienda could be devoted to supplying tomatoes. The opportunities to define a niche for economic activity are as diverse as can be seen on Earth. The home itself can be as ambitious as shown by RobertDyck, or as practical as shown by SpaceNut. Please note that the intent here is NOT to create a huge volume of traffic on the forum, because the primary posters are challenging enough to follow as it is. Instead, I invite newly registered members to create a post in the My Hacienda topic, and then update it over time, using the Edit feature. Each member can improve the fixed post over months and years, adding or changing features as inspired by new technology or other discoveries. Adding tahanson43206 roundup for topics Louis has created for what home might be in futuristics and possible constructions of what could be. RobertDyck as well has some topics for what a home would be on mars. Other aspect is sustainability in life support requirements for a grow house, greenhouse, crops and many more ways to make sure we feed ourselves. As a follow up to Post #16 above, I would like to invite members who have registered in the Month of February (Earth Calendar) to join the Hacienda Topic. While the user names look legit but it is usually the email address that identifies whom might be a spamming account. The dormant non posting accounts are quite high to actual people that care to say even hello. We were getting more than 50 accounts a day for quite a long stretch of time but it seems to be dropping but still not many are posting to the forum. I went back to check the user list, and confirmed that (as an ordinary member) I cannot see the email address associated with a user ID. I wonder why all those folks are creating member ID's, but will probably never know. Still, with your indulgence, I'd like to try extending an invitation as demonstrated above, perhaps once a month or so. It is possible that NONE of the registrations are legitimate, but if there is just ONE person a month who can be persuaded to participate who otherwise would not have, then the effort will have been worth while. There is SO much potential for participation in a visualization of a community that might exist on Mars some day. I ran a quick check today, and if we take Louis' Sagan City concept as a model, with an arbitrary size of 7800 (or so) square kilometers, then (theoretically) we could have a community of 7800 Haciendas in existence in the NewMars forum database. That number of participants should be able to simulate a robust economy. My 25 year old clothes dryer gave out today. The local appliance parts store has belts for that ancient machine in stock, so I'll be heading over to pick one up tomorrow. That is an example of a perfectly reasonable focus for at least ONE Hacienda, since practically everyone who sets up shop in Sagan City is going to have a variety of appliances of various kinds for household support, let alone a variety of machines for economic activity of various kinds. My hope is that as NewMars members begin to create detailed specifications for "their" Haciendas, it will become clear that certain activities will be expected to be performed by machines of various kinds, and these will have to be supplied and maintained by individuals who are running neighboring Haciendas. Void (and others in the Forum) have already described underground passageways that will (presumably) run under the Haciendas in a pattern that makes sense for movement of supplies and people. Those will need to be constructed and maintained by teams managed by Hacienda owners, as the economic activity they contribute to the community. I agree that advocacy is sort of lacking and its left to individuals to choose to join Mars society or to do what we are doing here with our words. I hope that what we talk about is being read by others and that the planned discusions do get used when we do try to creat the effort to go to mars. Trade repair not in Louis world though we need dreamers...but we do need those that work to keep things running. You could call me the janitor and I would still go to mars....From the moment that we take the first journey to mars we will be on the frontier as we have never gone. An approximate number of 1 kilometer plots able to fit inside the 50 kilometer radius of Sagan City (2008 version) is 7800. The purpose of this post is to record plots to be associated with specific Member ID's in the NewMars forum. By default, I am assigning Plot #1 to Louis, who created the concept for Sagan City in 2008, and then released it for Open Source application. Because RobertDyck was kind enough to sponsor this topic, I am assigning Plot #2 to RobertDyck. Terraformer invited me to join this forum, I'd like to offer Plot #4 for development, if desired. JoshNH4H joined the initial round of responses to this topic at post #12. I'd like to offer Plot #5 for his imagination to populate. I'll pick up Plot #6 from the initial round. kdb512, I'd like to offer Plot #7, with a special request that you will develop a fission reactor supply and maintenance service. Plots numbered above 7800 can be anywhere on Mars. I definitely think there'll be a strong demand for water. I also think there'll be a strong demand for bamboo, so I expect to see large plantations on Mars (and perhaps on Ceres).. Thanks for picking up on this concept! There are 7800 open plots as this gambit opens. Would you be willing to allocate your (already assigned) plot to either water or bamboo? I'm trying to encourage Division of Labor, so (it seems to me) it is taking on too much to try to become a supplier of fresh, potable water AND a supplier of bamboo. Whoever grows bamboo for trade in the community is going to be a major CONSUMER of water. If you would be interested in picking up a second plot for the other focus, I'd be happy to award one. After all, they are abundant (at this point) and cheap!!! Then, start building the attributes of that plot to fulfill the mission you have chosen. Use the Edit feature to make the changes.